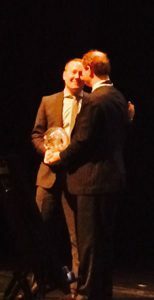 George O. Waring IV, MD FACS being presented with the 2014 Distinguished Lans Award at the International Society of Refractive Surgery Annual Congress during American Academy of Ophthalmology in Chicago, IL. 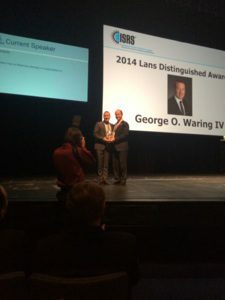 The Lans Distinguished Lecturer Award honors Dr. Leendert J. Lans. 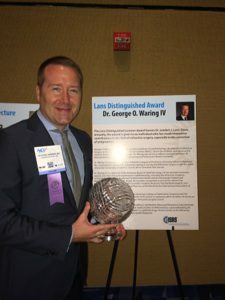 Given annually, the award is given to an individual who has made innovative contributions to the field of refractive surgery, especially in the correction of astigmatism.